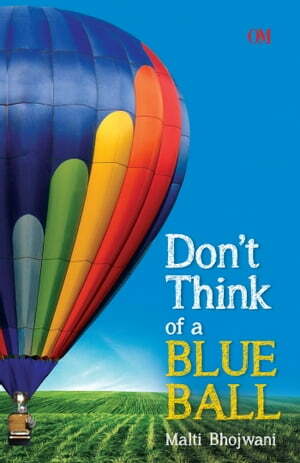 Collins Booksellers - Don't Think of a Blue Ball by Malti Bhojwani, 9781476072555. Buy this book online. This is a self-help book in many ways--no question about that. But Malti has definitely given the genre a fresh perspective, at least with respect to linguistic style. If you&apos;ve been a regular reader of her articles, you already know of this life-coach&apos;s uncanny ability to simplify complex theories and illustrate their application in real life. This book is much the same in all its unprocessed, what-you-see-is-what-you-get language. The book has a good flow, which is remarkable considering the plethora of topics that Malti speaks about in here. The topics she covers have been spoken about before--in literary works such as 2006&apos;s best-seller The Secret--but she tackles it in a manner I thought was especially riveting due to a strong sense of personality that comes through. As she gently forces us to confront a more honest version of ourselves through riveting lessons about positivity, replacing negativity, letting go, coincidences and much more. A lot of her prose is speckled with DIY lessons, which adds to the book&apos;s worth, in my opinion. Malti&apos;s always vocal about her NLP training and is generous in sharing some great trade secrets through these tests and exercises that she&apos;s learned and applied with great to success in her own life. Of all the tests available in the book, I especially enjoyed the &apos;jigsaw puzzle visualization exercise&apos; and &apos;thinking pink declaration exercise&apos;--but this is definitely going to differ from person to person. Also, I loved that she didn&apos;t hesitate to share deeply personal experiences, all of which further simplify the message of the book while engaging the reader.